You searched for Discrimination. Did you mean Discrimination in Employment Law -- Employer, Employment Law -- Employee? You've come to the right place. If you feel you were discriminated against or given unequal treatment based on race, gender, disability, national origin, age, sexual orientation or religion, a discrimination lawyer can help. Discrimination can arise in a number of settings -- including employment, housing, lending, and education. Use FindLaw to hire a local discrimination lawyer to ensure you are treated equally. 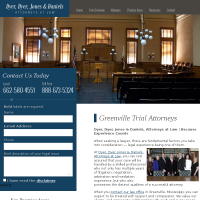 Need an attorney in Gallman, Mississippi? Use the contact form on the profiles to connect with a Gallman, Mississippi attorney for legal advice.